Co-chair of the International Conferences on Responsible Tourism in Destinations since 2002, he drafted Cape Town Declaration. Chair of the Judges for the annual World Responsible Tourism Awards. 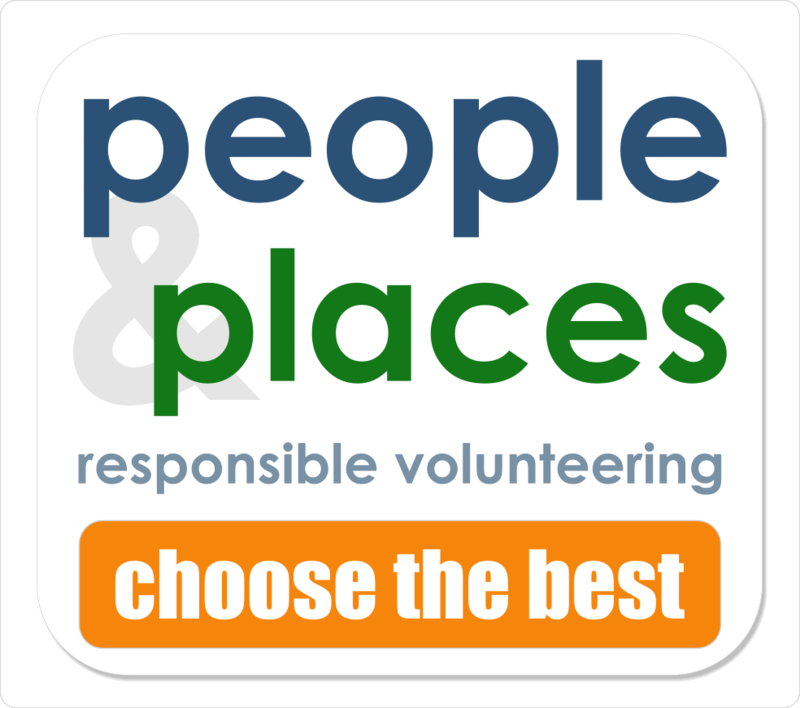 Non-executive chair of the volunteer placement organization peopleandplaces. In the 1990’s much of his research and consultancy was on tourism and conservation, particularly in and around national parks; he directed a major study for DFID on Tourism, Conservation and Sustainable Development at the Durrell Institute of Conservation and Ecology 1994-1997, looking at parks in India, Indonesia and Zimbabwe. Consultancy work on tourism development in and around national parks and heritage trails in Slovenia, Albania and Bulgaria followed. His inaugural lecture at Manchester Metropolitan University, Taking Responsibility for Tourism, reveals a good deal about what makes him tick. The comments made in the ‘little black book” presented at the party to celebrate 10 years of Responsible Tourism in April 2011 are revealing too. In October 2015 he was interviewed for Sustainability Leaders. In 1998 he wrote the first paper on Tourism and Poverty Elimination for DFID, this led on to his work with the Pro-Poor Tourism Partnership and to training, evaluation and consultancy work on tourism, local economic development, and poverty reduction. In The Gambia he led a market access project for informal sector craft workers, guides, fruit sellers and juice pressers which significantly increased their incomes. Since the mid-90’s Harold has been involved in action research, pursuing the concept of responsible tourism in the UK with tour operators and campaigning organisations like VSO and Tearfund in the UK; and in destinations working with industry, governments, and communities to make tourism more sustainable and to enrich host communities. 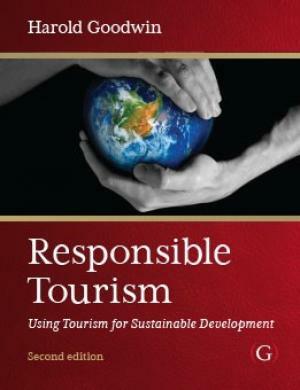 Harold assisted the Department of Environmental Affairs and Tourism in South Africa to develop practical responsible tourism guidelines. His current research is focused on triple bottom line transparent reporting for tourism businesses and destinations linked to the United Nations Sustainable Development Goals and on destination management. Harold has worked as a consultant and researcher for the UN World Tourism Organization, the UK’s DFID, the EU, the World Bank, KPMG, Deloitte & Touche, the International Finance Corporation, the Aga Khan Development Network and the International Trade Centre; and for a host of tour operators including the Association of Independent Tour Operators and the Federation of Tour Operators/ABTA. Harold is a director of the Responsible Tourism Partnership which works to develop links between UK tour operators and responsible tourism businesses and organisations in destinations. He co-founded ResponsibleTravel.com with Justin Francis, although he is no longer a shareholder or director he watches the development of the company with paternal interest and distance. In 2007 he created Irresponsible Tourism.info to provide a space for whistle blowing and debate. 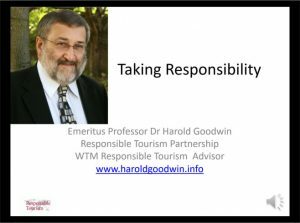 Harold was Professor of Responsible Tourism Management at Leeds Metropolitan University 2007-2013 and Professor of Responsible Tourism at Manchester Metropolitan University November 2013 until his retirement on July 31st 2016. Harold is now an Emeritus Professor at Manchester Metropolitan University. Harold has lived in Faversham since 1977. He is a partner in Taste Faversham, a director of the Faversham Food Festival and Chair of the Faversham Society and the Faversham Sea Cadets.